At The Brew Story kitchen in Melbourne, we create, brew and drink authentic Indian masala chai, and a proprietary caffeine-free masala latte mix that packs a delicious and nutritious punch. We take pleasure and pride in crafting products with natural ingredients that nourish the body and calm the soul. Our Chai Brew is a perfect balance of single origin Assam tea leaves and Indian spices which is aromatic to the last sip. Our Masala Brew, is a delicious latte mix brimming with the nutritious goodness of nuts, turmeric and select spices, which is the very essence of taste and health in a single cup. So, come along and embark on a delicious journey with us! 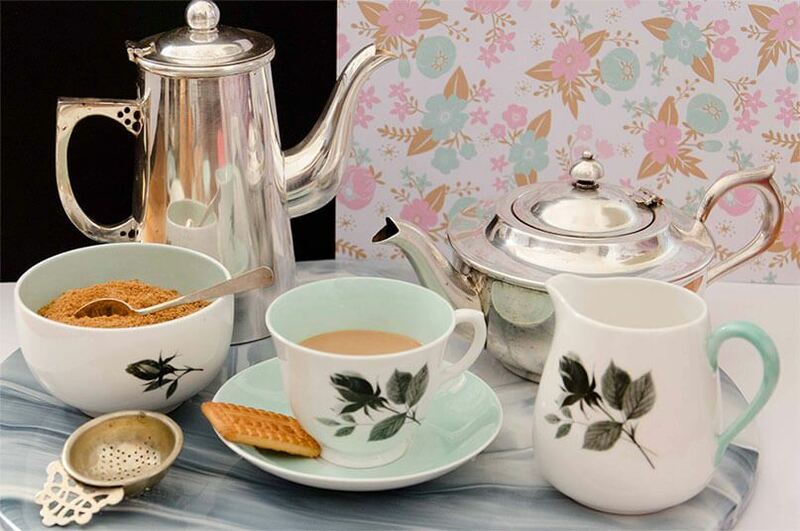 To revive the beauty and tradition of tea drinking, where we pause our busy lives and sit down to enjoy that delightful cuppa. 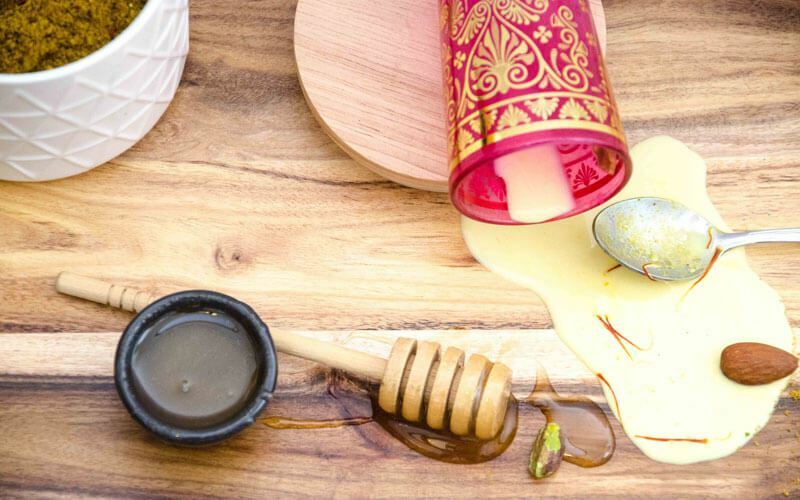 To bring to Australia and its people the ancient Indian richness of Ayurvedic wisdom which utilizes the power of naturally beneficial food ingredients for greater health and wellbeing. To bring health, spirituality, and counselling all together in your cuppa. To introduce true chai culture, where we all consciously enjoy the flavors and benefits of authentic Indian spiced tea. To share with you our delicious,all natural high-powered nuts and healing spice blend that packs a powerful flavor and nutrition punch in one single teaspoon. We have enjoyed the health benefits of the Masala Brew in Indian households for ages and we think now you could, too! Whether you’re looking to boost your mojo early in the morning or take a quick breather from a fast-paced day, or you want to swap stories with a mate for hours, Chai &/or masala latte are the perfect accompaniments. If you’ve been searching for authentic masala chai in Melbourne, and are tired of mostly finding interpretations of it, you will love our products. Hand crafted and blended, we make small batches to ensure that the delicate balance of ingredients is perfectly maintained in our products. Our products are beautiful, inside and out! Our sustainable packaging is reusable and attractive, making our products the perfect, most wonderful gifts. 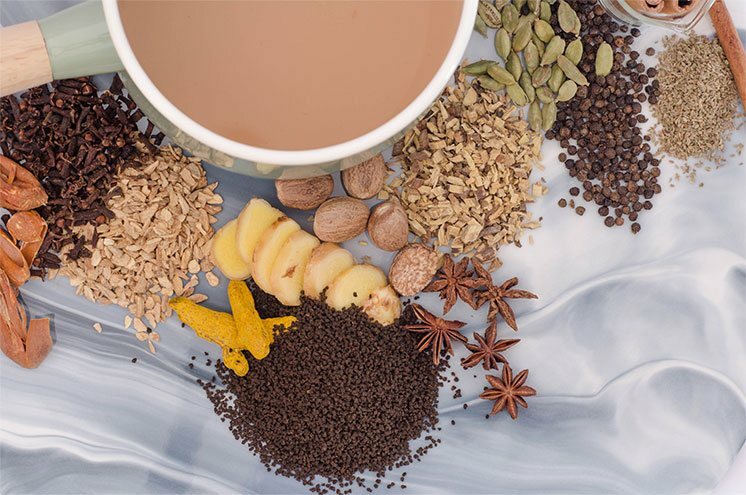 Whether it’s our spiced chai mix or our masala latte mix with the goodness of turmeric, nuts and spices , our blends are filled with the wisdom of Ayurveda which has used food as medicine for centuries. Tea leaves hand-picked from single origin estates in Assam, and natural spices and nuts sourced from Australia’s finest suppliers; these ingredients come together to create our wholesome, flavorful, and nourishing blends. Just because it sounds corny, doesn’t mean it isn’t true. The secret ingredient really is love. What came first? The tea or the spices? 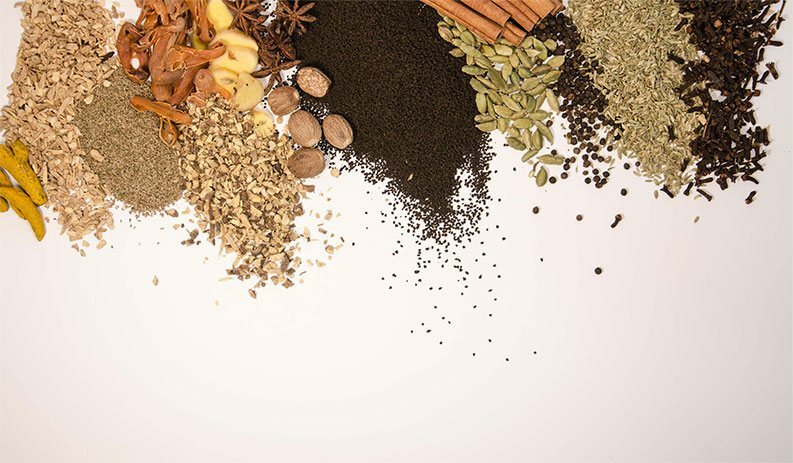 In ancient India, a concoction of herbs and spices was brewed and consumed for its healing properties. This drink didn’t contain tea leaves and was a bitter medicinal brew. The first account of this drink went back thousands of years. Then, in the mid-1800’s, the British set up tea plantations in Assam. They had tasted tea in China and were absolutely hooked to the stuff! Who could blame them. However, since China had no interest in trading their tea for anything the British were offering at the time (until Opium came along and started a war that changed everything! ), they decided to start growing tea in India and Ceylon, themselves. In the early 1900s, the British-owned Indian Tea Association began to promote the consumption within India. Previously only consumed by the elite, black tea continued to be an expensive ingredient. As a work-around, vendors used milk, sugar and spices to reduce the quantity of tea leaves while ensuring the beverage scored on taste. Leaves from China, tea-time tradition from Britain, and healing spices from across India; when you take a sip of our Chai Brew or Masala Brew, you become part of a delicious history.